Mia Serafino doesn’t belong to the crop of A-list actors and actresses yet. However, she has done enough work and has collaborated and hung around the right people in the industry long enough to guarantee her inevitable success. The actress from Michigan has been in over 20 productions, playing everything from major roles to fulfilling stand-in responsibilities. Serafino’s most renowned works so far include her time on the comedy tv series Crowded, her role as Emma in the movie Electric Love, and her portrayal of Ali in James Franco’s Zeroville. The actress, born April 19, 1989, is from Detroit, Michigan, and unsurprisingly is a supporter of the NHL team Detroit Red Wings. Her early life choices reflect an early interest in entertainment. She moved to Chicago for her college education to study Musical Theatre. After school, she moved on to Los Angeles, like many budding actresses before her. Mia had already been acting since she was a child, but mostly in stage productions and commercials. Subsequently, she would secure a summer job that saw her work as a stand-in for some big named actresses on the set of some big movies. This initiated her learning curve in the world of big screen acting and even earned her a kiss with Hugh Jackman, as a stand-in on the set of the movie Real Steel. An experience she says she will not forget in a hurry. Serafino has revealed in interviews her addiction for acting. Since her first project, she has been hooked to her acting career and admits that she doesn’t care much for the downtime. During her off periods, the actress takes acting classes and involves herself in stage productions to stay busy. Mia kicked off her acting career officially in 2009, with the role of Rebecca Brown in The Butterfly Effect 3: Revelations. She was in her first year of college at the time and the movie was shot in her home city of Detroit. This led to a few other small roles and guest appearances on projects like Hitchcock (2012), 90210 (2012), and Bukowski (2013). Other small appearances include her one-liners on Oz the Great and Powerful (2013) and Saving Mr. Banks (2013). After her role in movies like A Lesson in Romance (2014) and Secrets of a Psychopath (2015), she made guest appearances on Franklin & Bash, NCIS: Los Angeles, Shameless, Scorpion and Your Family or Mine, all before the end of 2015. Her biggest role yet came in 2016 when she was cast as Stella Moore on the television series Crowded. It is a story about three adult daughters who have refused to leave home for good and want to move back in with their parents. 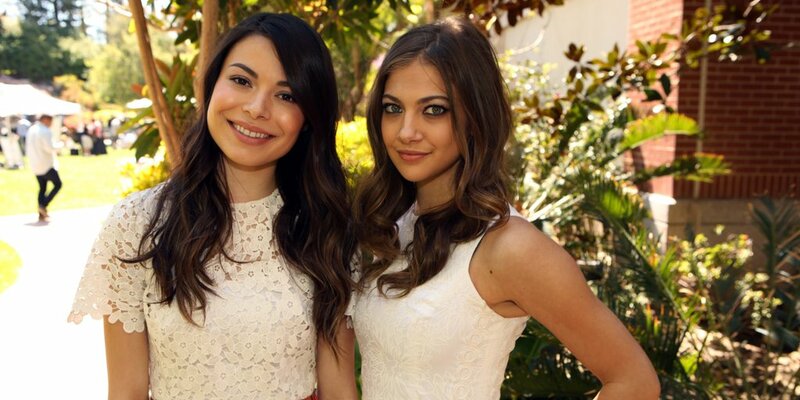 Mia Serafino was joined on set by the likes of Patrick Warburton, Miranda Cosgrove and Carrie Preston among others. The show aired for only one season, comprising of 13 episodes. Following her time on James Burrows’ Crowded, she appeared in 3 other projects – All at Once, The Labyrinth, and Young & Hungry. These all came before her smash performance on Aaron Fradkin’s romantic comedy Electric Love. She played the lead character Emma and worked with other actors like Erik Griffin and Zachary Mooren. The movie is essentially an evaluation of the Los Angeles contemporary dating scene through the use of popular dating apps. Mia Serafino has spoken openly of her admiration for bigger stars like Nicole Kidman, Tom Cruise, Sarah Paulson, Natalie Portman, and Robert De Niro whom she has idolized since she was a child. These names – according to the actress – are on the top of her list of people she would like to work with. And with a lot of time left on her career, this may very well come to pass. Who is Mia Serafino’s dad? No one really knows anything about who Serafino’s dad is or any of the other members of her family. All we are given are little periodic glimpses into their lives. One of such was in a May 2016 tweet where the actress revealed that her father was a musician – a drummer. The actress is vocal about how her parents have been a massive support to her throughout her acting career. At this point in her career, it is safe to say that Mia makes her money solely through her work as an actress. There is no other source online that suggests otherwise. Also, there are no definitive sources that state what the actress’s net worth is. Mia Serafino doesn’t stand tall like some of the names she has worked with. Thankfully her height sufficiently complements her figure. The actress stands at a height of 1.65 m, which translates to 5 feet 5 inches.